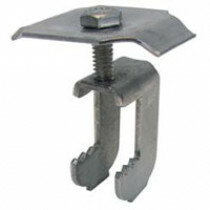 Grating Fasteners (also known as Grating Clips and G-Clips) are simple fasteners that allow bar grating to be attached to steel structures without the need for drilling or welding. There are many advantages to using grating fasteners. Grating fasteners are safer because they don't require dangerous welding or drilling. This is also perfect for industrial environments where drilling and welding is not allowed. In many cases there is no stoppage of work and no special permits which save real time and money. 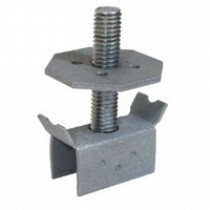 Grating clip grating fasteners are also very easy to install. Each connection can be made in just minutes using simple hand tools. 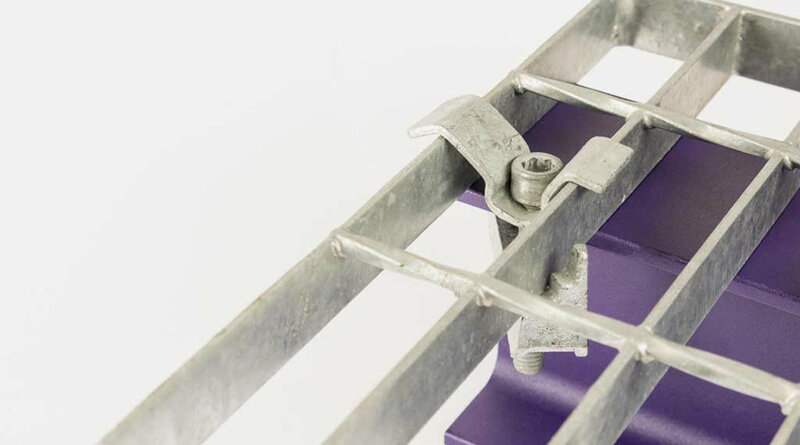 Beyond easy of installation, and unlike traditional bar grating attachment methods, the grating fastener can be removed to allow access to areas below the grating. Whether used for temporary or permanent installations of bar grating, you'll appreciate the ability to remove the fastener. If you have questions about our grating fasteners, consult the product pages on this site or give a call to our sales team. We can help answer questions about the usage of these products. 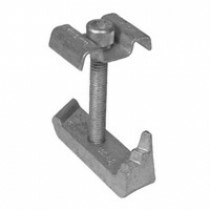 If you are looking for a volume quote on grating fasteners, consult our quotation page. Our sales team will promptly reply with price and stocking information. 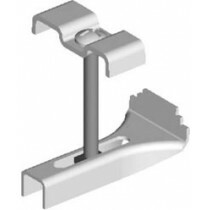 If you are ready to purchase you can buy grating clips online in our easy to use checkout process.